Tahil Sharma is both Sikh and Hindu. When an angry protester crossed the street to confront him, he drew on wisdom from his two traditions to start a more productive conversation. In June 2017, Tahil Sharma — an interfaith minister-in-residence at the Episcopal Diocese of Los Angeles — was at a protest in San Bernardino, Calif. The protest was against the perceived growth of Sharia law, Islamic legal code, within the United States. Sharma was there as a counter-protester, opposing the xenophobic views he says were being promoted by the anti-Sharia protesters. "They were insulting Muslims. They were insulting immigrants. They were insulting refugees," he told Mary Hynes, the host of Tapestry. Then, he says, one anti-Sharia protester crossed the road, so she could ridicule Sharma and his friends from even closer proximity. She happened to have her dog with her. "I decided that I wanted to pet her dog," Sharma said. That simple gesture — asking the woman for permission, then petting her dog — went a long way toward opening a channel of goodwill between the pair, Sharma says. They talked for 45 minutes. Eventually, he says, she ended up apologizing for her insulting attitude. She also admitted she didn't share many of the views being espoused by the other anti-Sharia protesters. Sharma says the interaction was successful because both parties were able to humanize each other, rather than simply remaining opponents in one another's eyes. Sharma was raised with two faiths - Sikhism and Hinduism. The peaceful co-existence of those two religions in Sharma's life is itself a story about potential opponents humanizing each other. Sharma's mother is Sikh. His father is Hindu. They are both from India and were married in 1984, a year notorious in Indian history because of an explosion of anti-Sikh violence by India's Hindu majority that left thousands of Sikhs dead. Despite external pressures, Sharma says his parents' marriage was ultimately successful because they were each willing to put aside the animosities of their own communities. Sharma says the importance of "rehumanizing the other side of the conversation" is reinforced by the two religions central to his spirituality. "From Sikhism I carry the value of Chardi Kala or relentless optimism and Sarbat da bhalla, which means 'the welfare of society,' because our first guru, Guru Nanak, always said that if we want to actually uplift ourselves personally we must learn to uplift others in the same way," Sharma said. From Hinduism, he says, he holds dear the principal of Tat Twam Asi, which, he says, means "to see himself in others". "And, more importantly, I have to follow this idea of Aham Brahmasami: that I am the entire universe. If I look at the other person's entire universe, at the center of their universe is me, because we share the same spirit and spark. And that I have to continue uplifting people and humanizing them constantly." 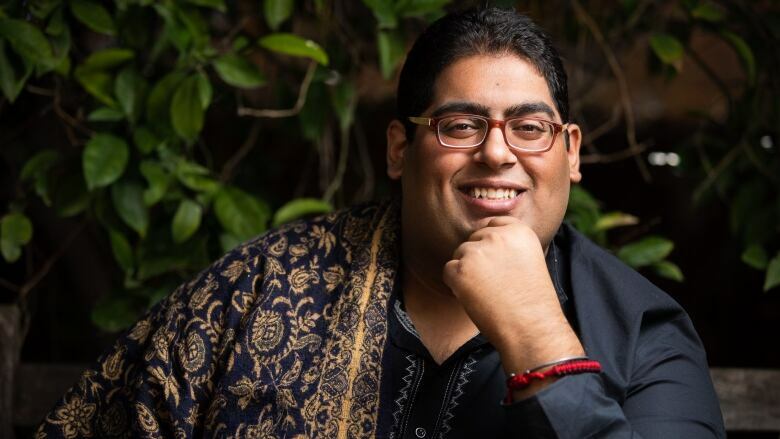 Tahil Sharma is the interfaith minister-in-residence at the Episcopal Diocese of Los Angeles. He is also the Faith Program Manager at Brave New Films.